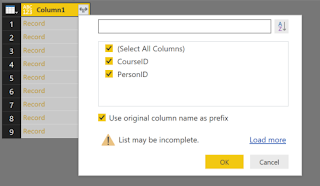 PowerBI calling a REST Api for each row in a table. 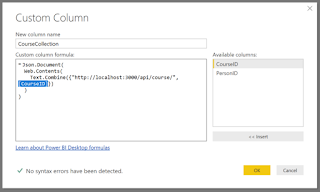 Your writing a PowerBI report to pull data from a REST Api. The Api doesn't provide a search route which returns all the rows and data you require in one call. You can retrieve a list of ID's for the object type you require but a separate call is required to get the individual details per row. 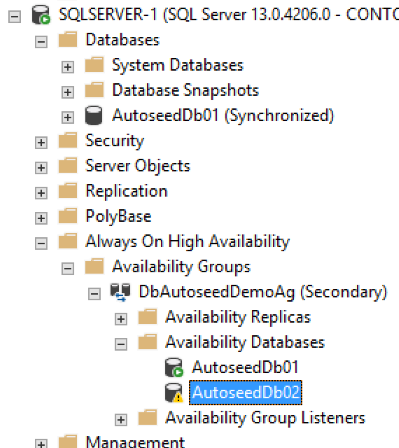 Or you may have an existing table with the IDs stored, and require additional details which is provided by an API call per row. I was asked about this scenario by a colleague, and it is definitely able to be solved with PowerBI. 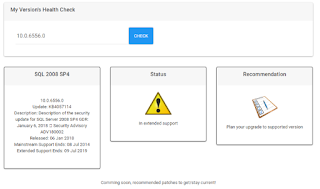 I will urge caution though as if you have large recordset on the base table, and you plan to do an API call per row, that will be slow and result in a large number of calls to the API in a short duration which could be flagged as an attack by some monitoring systems. For this blog I have provided a demo NodeJS API that you can download and run in VSCode, but you could also use any public API, such as my SQL Versions API (details on that will follow at a later time). To run the API, follow the instructions in README.md. The demo API has some static sample data. 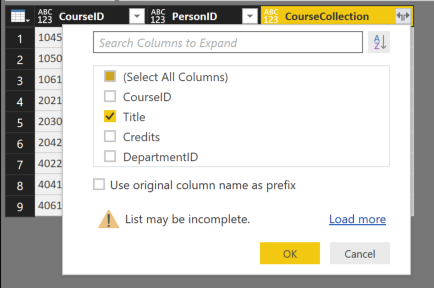 A collection of Course Instructors, which has a mapping to the Course collection and also a mapping to a Person collection. The complete sample data was taken from an old .Net app sample (https://msdn.microsoft.com/library/bb399731(v=vs.100).aspx). 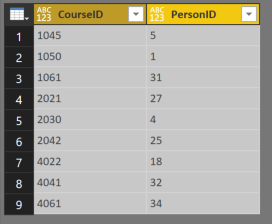 For this walk through lets start with the CourseInstructor data. This is a list of CoursID's and PersonIDs, but no other details. We will then use the individual API calls to build the completed table. 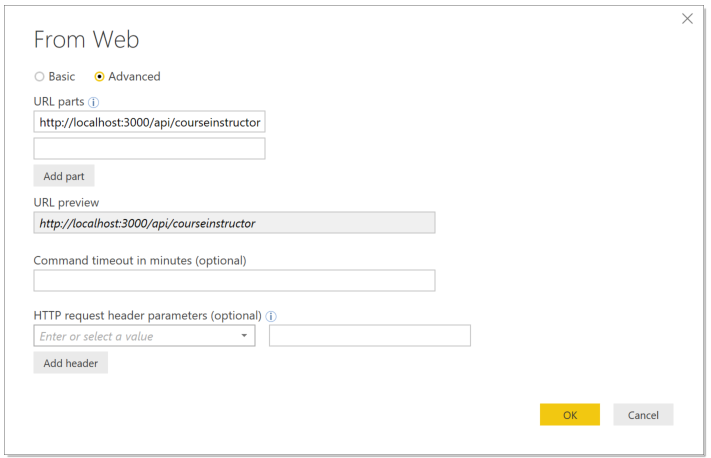 In the Demo API the API route is http://localhost:3000/api/courseinstructor. 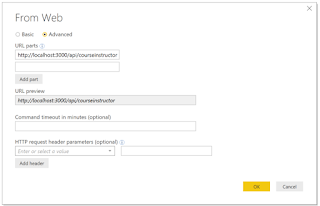 In the next screen enter the API route (e.g. http://localhost:3000/api/courseinstructor). This should be a HTTPS uri for security. If your API needs Authorization, or a Token, then you should set the appropriate headers. I have an example in one completed solution at the end. The results will first be shown in a list as PowerBI will use the Json.Document() function to retrieve the data. 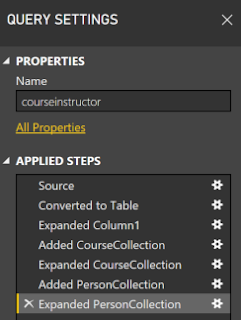 Click the "To Table" button in the menu ribbon. In the To Table dialog you should be able to leave the defaults. 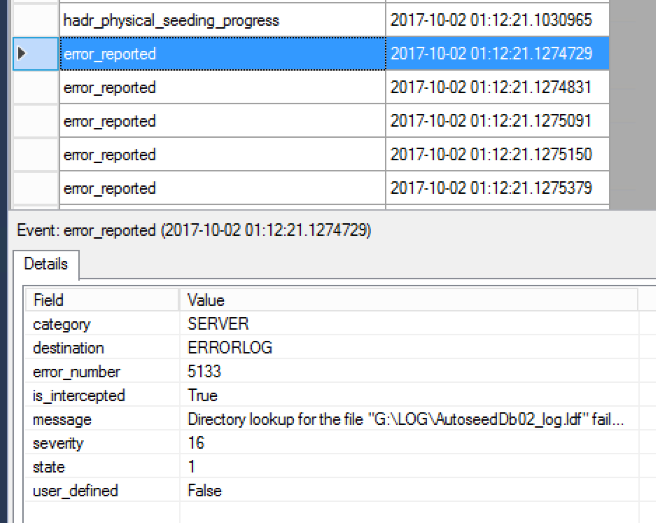 However if the API JSON data isn't very structured, in that each document has different elements and size, then you may need to experiment with the error handling options. 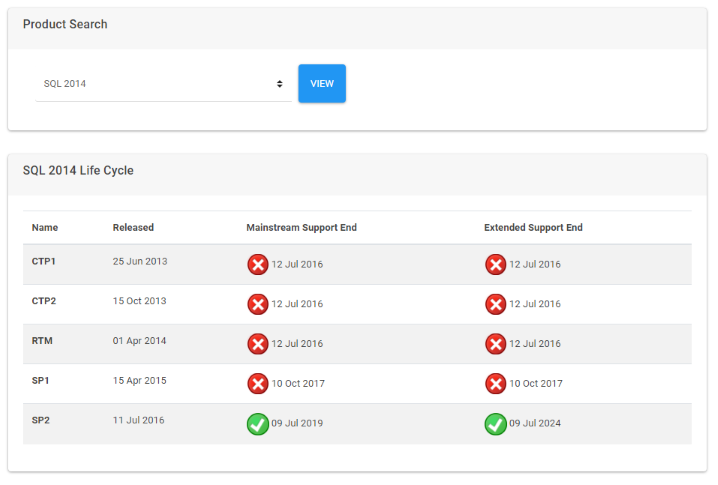 The results will now be a typical referenced table which you need to expand the columns on. Click on the expand columns button. Select the required columns. 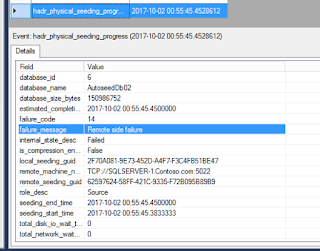 This will depend on your API data, in the demo data cases we want both columns as we will add additional API routes to get that data. My tip is to untick the "Use original column name as prefix" option. Or if you want to use that make sure you have renamed the column to a meaningful name prior to this step. You can also always add a meaningful name by editing the step settings afterwards, but before you proceed with other steps. The results should now be expanded as required. Now for the fun part. 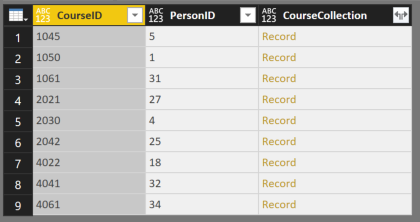 We now have rows of data which contain our ID(s). To expand this data we need to make additional API calls for each row. To achieve this we add a custom column, and dynamically build the API Uri. Click the Add Column tab in the ribbon, and click Custom Column. Give the column a meaning full name (e.g. CourseCollection). NOTE: If prompted regarding the data privacy, click continue and set as appropriate. 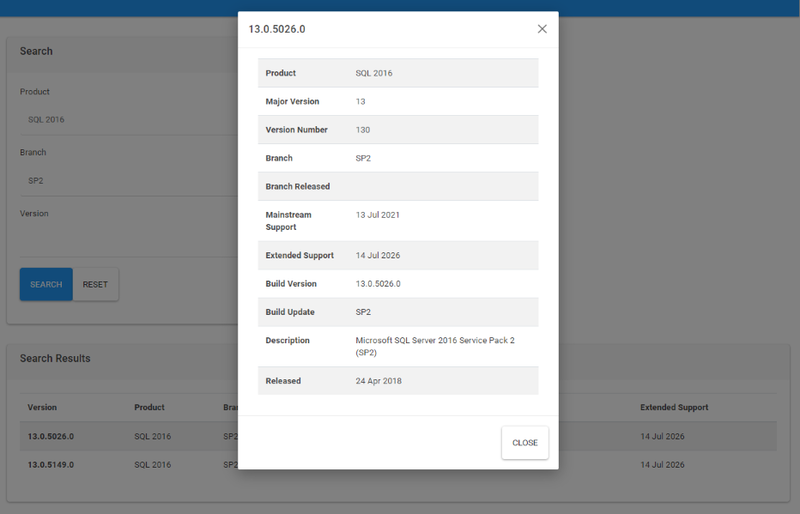 IMPORTANT: The process of updating the table may take some time depending on the number of rows and speed of the API. The results should now include the custom column (e.g. CourseCollection). This table needs to be expanded, the same as earlier by clicking on the expand columns button and then select the desired columns to include. 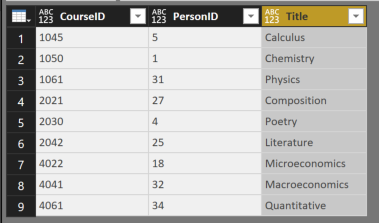 In my demo data case, I am only interested in the Title column. 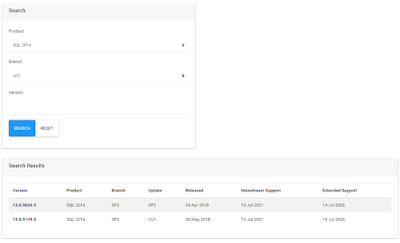 Your table should now include the data from the additional API call. 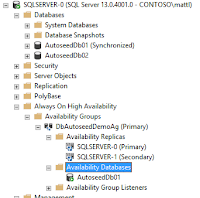 The complete M Query for creating the query will be similar to this. 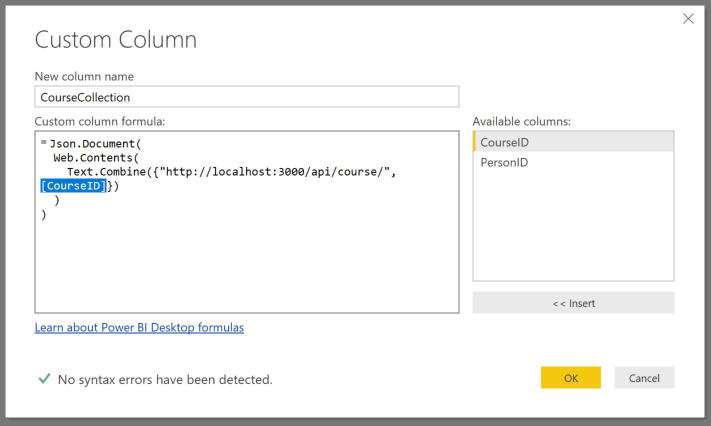 This is available from the Advanced Editor of a query, and is a working query for the demo API. 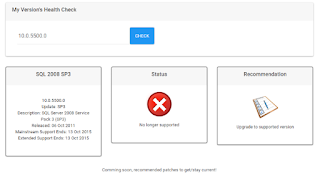 I have provided a completed PBIX in the github repository. 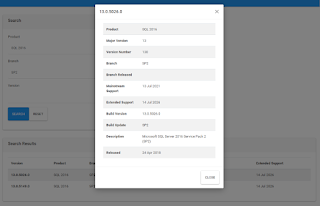 A recent project I have worked on was using CSV files as part of an ETL process from on-premises to Azure and to improve performance further down the stream we wanted to convert the files to Parquet format (with the intent that eventually they would be generated in that format). 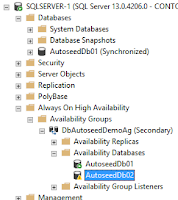 I couldn't find a current guide for stepping through that process using Azure HDInsight so this post will provide that. Upload the sample GZip compressed CSV files from the SampleData folder to the Storage Account using Azure Storage Explorer. In my case I uploaded to a container "DataLoad"
The work that we will perform will be within the Jupiter Notebook. This will open a new tab/window. 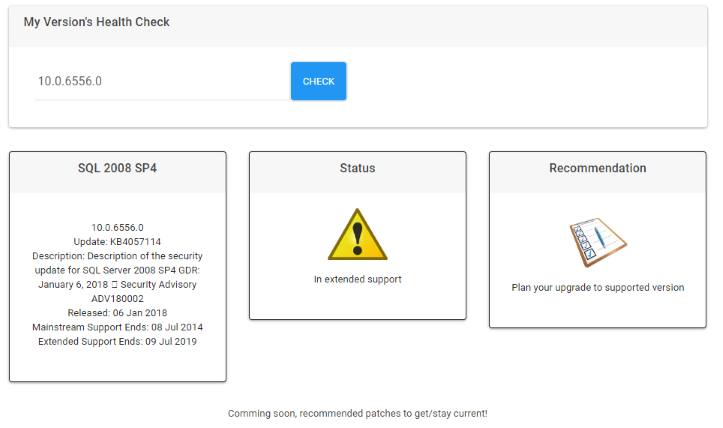 Authenticate as the cluster administrator. 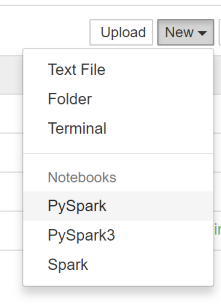 Create a new PySpark Notebook. Paste the following lines and press Shift+Enter to run the cell. 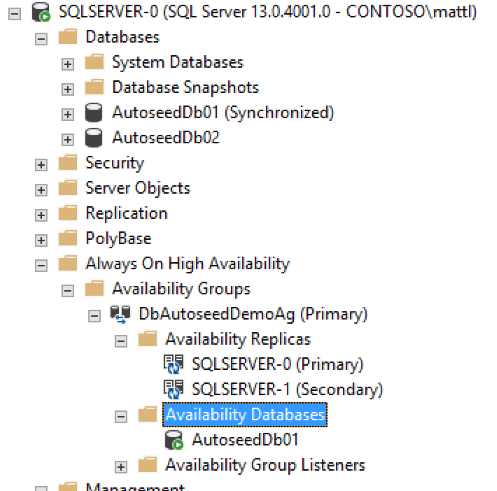 Once complete you can use the SQL language to query the table you imported the data to. 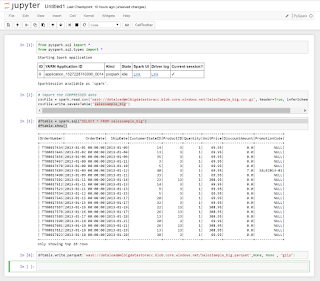 This will create a dataframe to host the output as we will use this to write the parquet file. 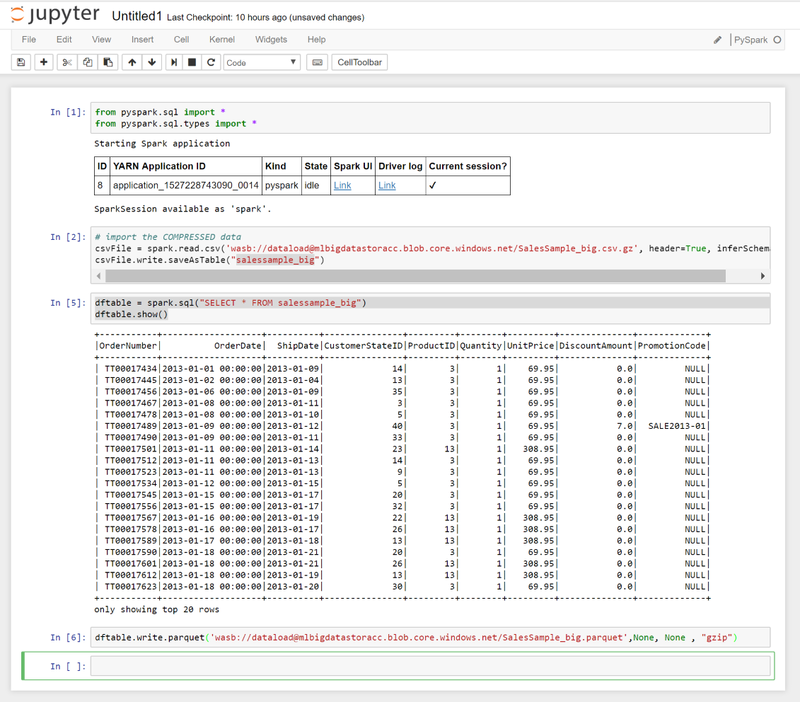 The final step is to export the dataframe to a parquet file. We will also use the gzip compression. 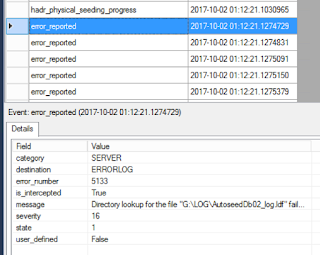 In your storage account you should have a Parquet export of the data (note that this format is not a single file as shown by the file, folder and child files in the following screen shots. In this example you may notice that the compressed file sizes are not much different, yet the parquet file is slightly more efficient. You experience may vary as it depends on the content within the CSV file. Previously I had released a single extension, which logically was actually three separate extensions but due to the methods used at the time it could be released as a single extension. 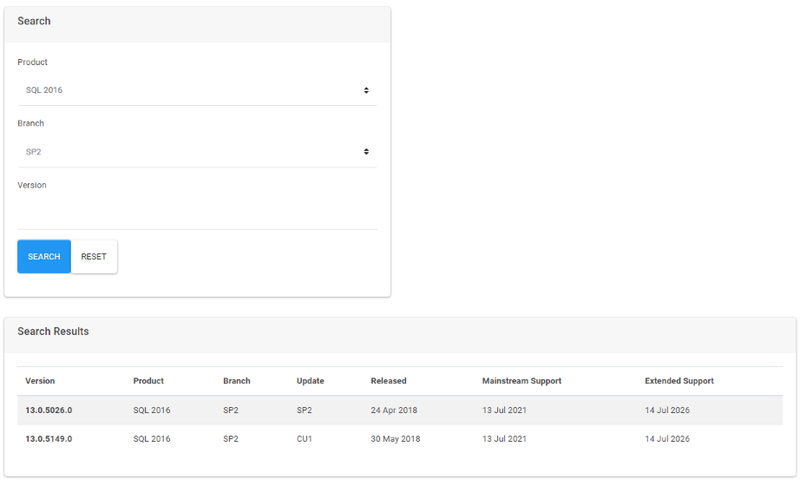 With the added support for Extension Marketplace in SqlOps March release it made senses to break these out. Going forward this will also help with the life cycle of the extensions to manage them individually. 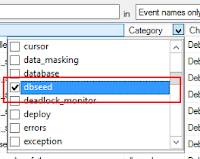 I was recently working on a solution where a DSC Configuration block was not compiling in Azure Automation. This solution included Node Data, DSC Resources, and custom Composite Resources. 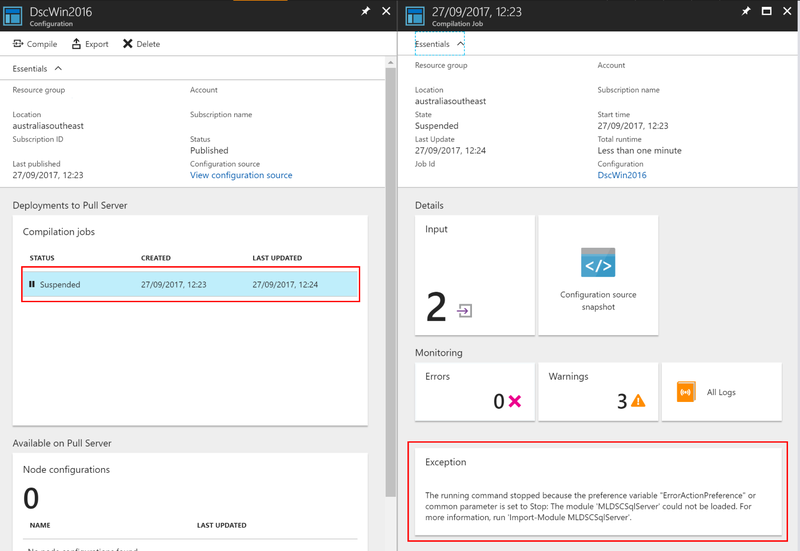 The configuration would compile perfectly fine locally but not when published to Azure Automation. 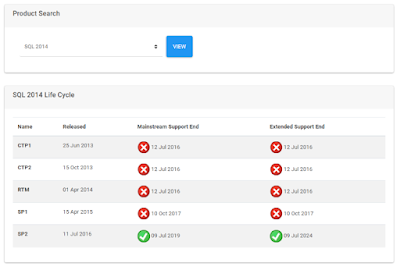 The other challenging aspect was that other composite resources within the same module were compiling fine. 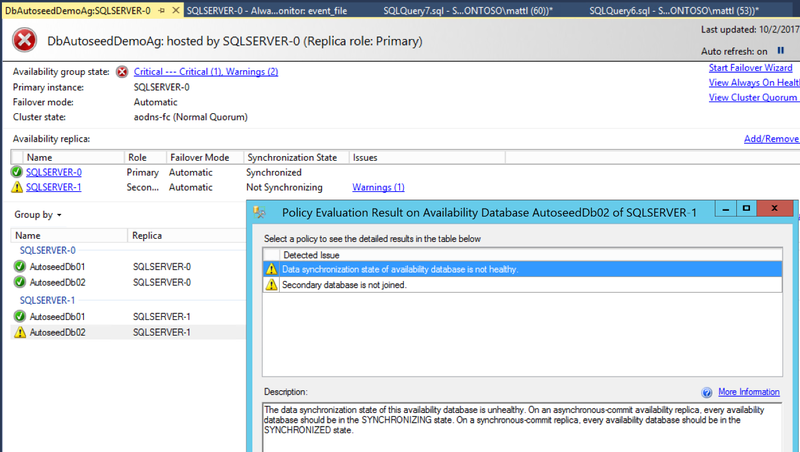 Unfortunately Azure Automation doesn’t provide very detailed information for troubleshooting DSC Compilation errors. It actually will only show you the first level failure, which when your using a DSC Composite Resource it means you will simply receive an error that the composite resource failed to import, but the actual cause could be related to a problem with an underlying resource used by that composite resource. 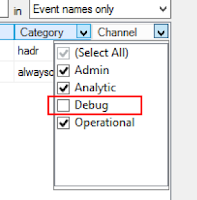 So based on my experience I have come up with the following troubleshooting checklist when working through DSC Compilation errors in Azure Automation. 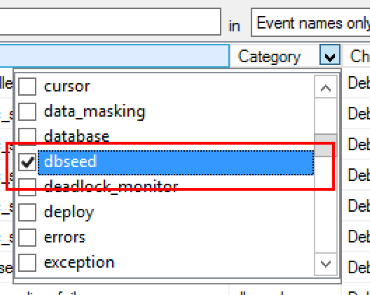 Check the exception details output by the DSC Configuration compilation job that is in the suspended state. Either within the Azure Portal like the following screen shot or via PowerShell by the Get-AzureRmAutomationDscCompilationJobOutput cmdlet. 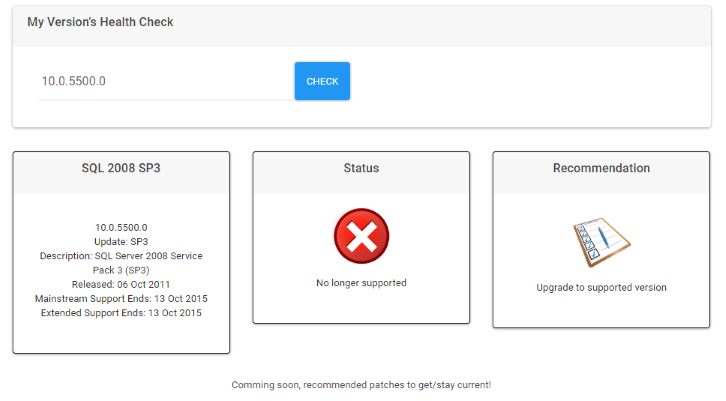 Depending on the exception reported the next steps may vary. In the above screenshot it is reporting that a Composite Resource has failed to import. Can you compile the configuration locally? 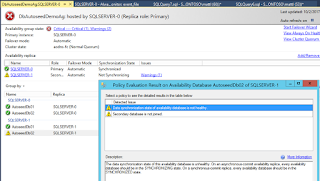 If yes, can you upload the MOF to the DSC Node Configurations in the Azure Automation account? If it is a Composite resource that is failing, are all Composite resources within your module affected or is it just a subset? If it is a Composite Resource, extract the configuration from the failing Composite Resource and place it directly in a Configuration block. 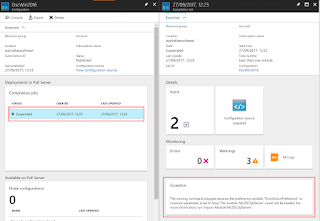 Compile that configuration block in Azure Automation and review the output as this will provide more granular details about the specific resources used by that configuration block.